KLM Royal Dutch Airlines seems pretty cool. They wanted to give away an upgrade for some World Business Class tickets to a random person, but not just any person. 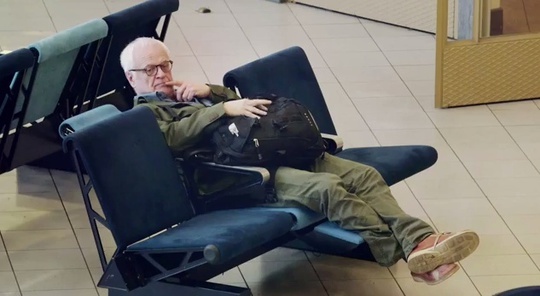 They wanted to make sure the lucky person would enjoy the reclining seats by getting them to lie down in a busy airport with a bunch of hidden cameras and then busting out of a hidden room punk'd style.